Inspired and encouraged, participants in Green Israel Summit 2: Blue, White and Green found new ways to think about, care about and work for the betterment of Israeli society. The second Green Zionist Alliance conference, GIS::2 was co-sponsored by Marom Olami and Mercaz USA and hosted at the Pearlstone Conference and Retreat Center in Reistertown, Md., from Nov. 16 to Nov. 18, 2007. 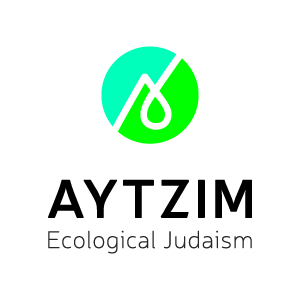 8 p.m. "The Unnatural Jew: Exploring our personal connection to Land,"
1 p.m. "Losing Ground: Overview of environmental issues in Israel,"
2 p.m. Keynote Address: "Climate Change as a Threat to Water Security for Israel and the Region,"
4:15 p.m. Choice A: "Preservation vs. Development as an Expression of the Zionist Dream?" Choice B: "Air Pollution and Health in Israel,"
Choice C: "Challenges of Being a Liberal Jew in Israel,"
7:30 p.m. Panel: "Peacemaking in Israel Through the Environment,"
Choice A: "Exploring Shmita: Israeli controversy and personal meaning,"
Choice B: "If I Forget Thee O’ Jerusalem: A spiritual and political exploration,"
Choice C: "Environmental Justice in the Negev,"